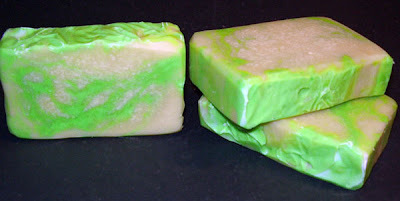 Made up fresh batches of Stonehenge and Forbidden Fruit soap, pictures to follow. I took some pictures but the colors and lighting were all off so need to take them again. Next up is Sandalwood and finally time to try out making bath bombs. 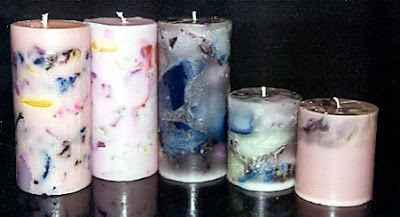 I have also been working on my website, added a pillar candles section so candles I have made and have on hand can be purchased. I will also be adding more products such as Body Spray, Hand Sanitizer, fish soap for kids, melts and melt burners. Just wanted to wish everyone a Happy New Year! Got some new scents in today, the one that is looking good is Enchanted Apple for soap. Once I get stocked back up on my regular soaps I think I will add that one to my line. Bath Bomb making supplies should be here next week and I can't wait to start playing with those. 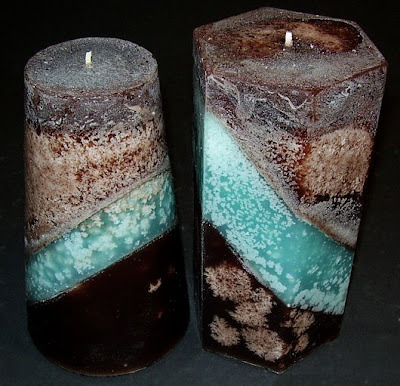 Random old school picture, these are actually some of the very first candles I ever made most of the chunks are from the total mess up first candles I tried to make. Well leave it to my mom to wipe me out of a bunch of different soaps. Let me back up some and explain my mom wasn't a huge fan of me wanting to make soap when I first started. She didn't think they would sell and she just really wasn't into them. Well I have more then proved her wrong. Her and my boyfriend have both been my skeptics, guess it is good to have those as well right?!?! Well this year she has decided she wants to get some pretty soaps to give to her quilting friends (she also makes quilts). So she calls me and puts in her order last night, now besides getting low on Sandalwood, now I am needing more Forbidden Fruit and Summer Medley. I swear my playing around batch of soap always seems to get pushed back. well the holiday last minute rush has started. Full swing pouring from now to the holiday. 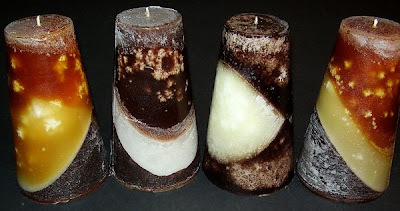 over the last few days I knocked out the following candles: 3 black raspberry vanilla, 2 lemon bundt cake, 2 cappucinno brulee, 1 turkish hazelnut cafe, 1 fresh brewed coffee, 1 pink sugar, 1 toasted marshmellow(for myself, lol). 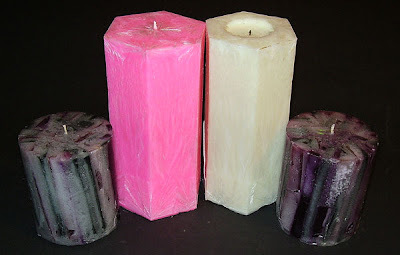 Tonight I will be completing the next order which is 2 granny's pie crust candles. Pictures coming next day or two so stay tuned for those. Still need to work on the fish soaps, update my website to include hand sanitizer's, body sprays and wax melts. ahhhhh soooo much to work on!! Been awhile since I made a batch of Cucumber Melon so I decided it was time to make one. Trying to figure out what scent is next, I think it is going to be my own creation scent.